So the Great British bake Off is back!!!! Yaaaay *does a happy dance* ! This means of course, that it also sees the return of the Great Bloggers Bake Off (#GBBOBloggers2015) *does another happy dance*. By now, we will all have seen the first episode and met the new contestants and seen some scummy cakes in the process (I love cake week – my favourite!). In honour of tonight’s theme I decided to have a go at making something inspired by the ever so retro Black Forest Gateau. When I was a child, a black forest gateau was quite the dessert to have at special occasions, usually defrosted for several hours from the freezer and it was delicious! 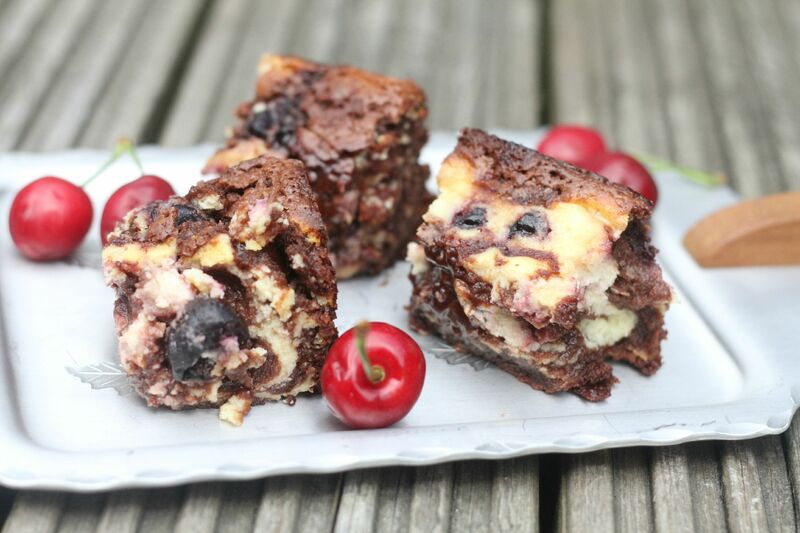 As much as I would have loved to have recreated my own gateau, I have to think of my waistline so I have decided instead to make some brownies, all chocolately and gooey and flavoured with a little kirsch and some black cherries. I also added some white chocolate cheesecake into the batter to give my brownie the look (hopefully!) of a black forest gateau. 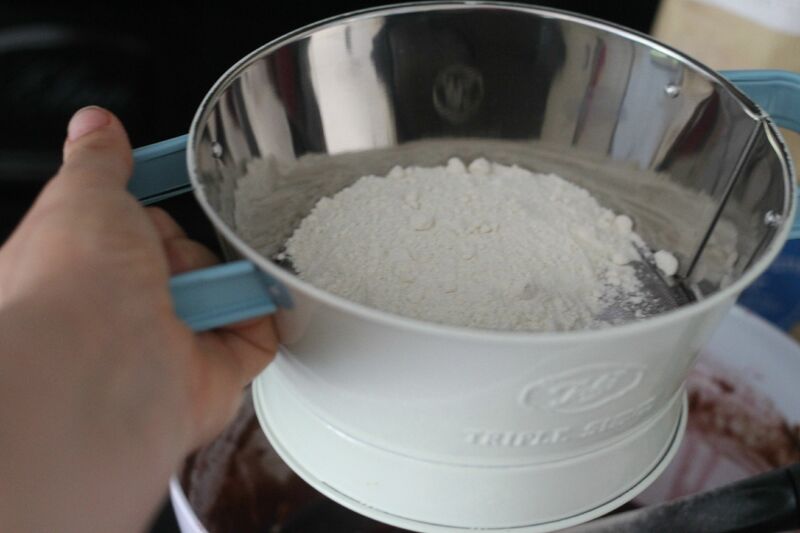 To make the cheesecake part, place the cream cheese, the remaining sugar and final egg, and the melted white chocolate in a bowl and beat to make a creamy mixture. Mmmmmm these were delish! 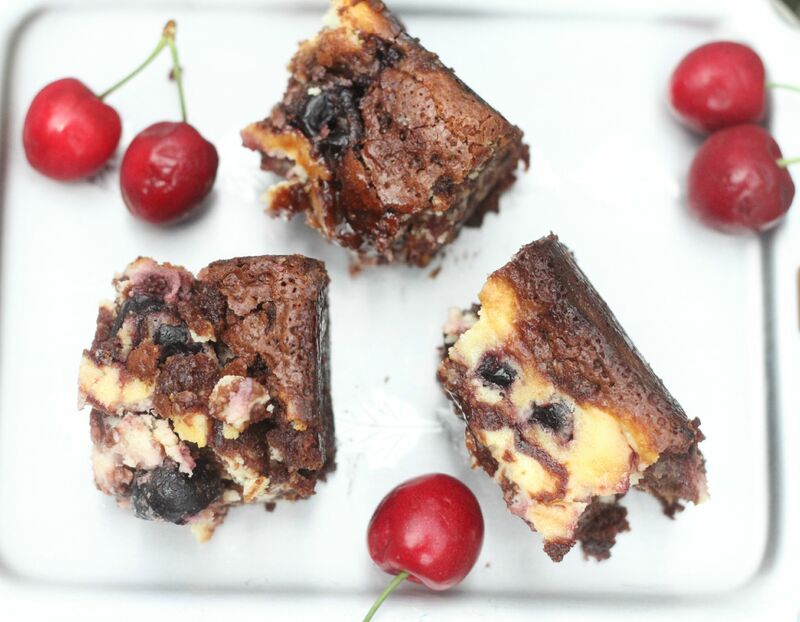 Gooey, melt in the mouth and with a slight hint of Kirsch – I think these tasted like a Black Forest Gateau and I guess had I served them alongside some cream, I would have got all of the components of this dessert on my plate. 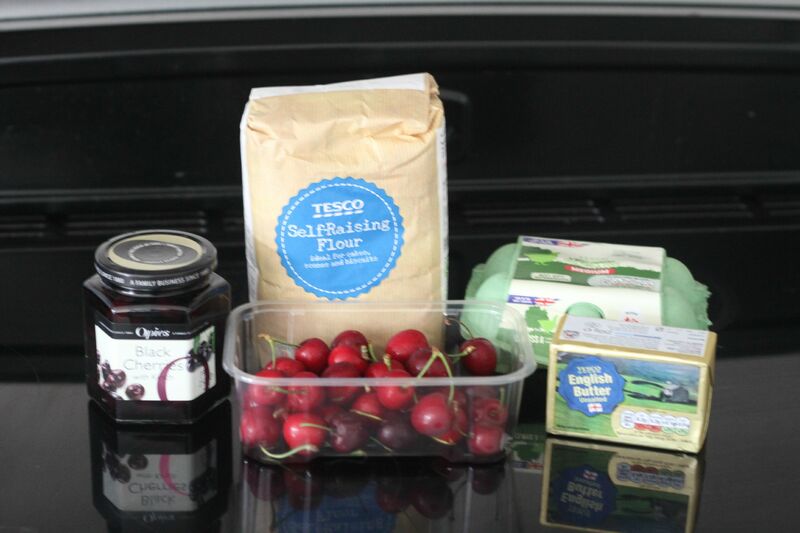 I can’t wait to make my black forest cake. This was my favourite cake growing up – my German Canadian mum’s specialty. I won’t be making it until the weekend, but I can already taste it. Yum! You are so inventive in the way you interpret themes and ideas, these look so gorgeous Jenny, well done! These look lovely, I couldn’t deal with faffing about with a big gateaux for week one (hats off to everyone who does!) but I never even thought of a brownies version! 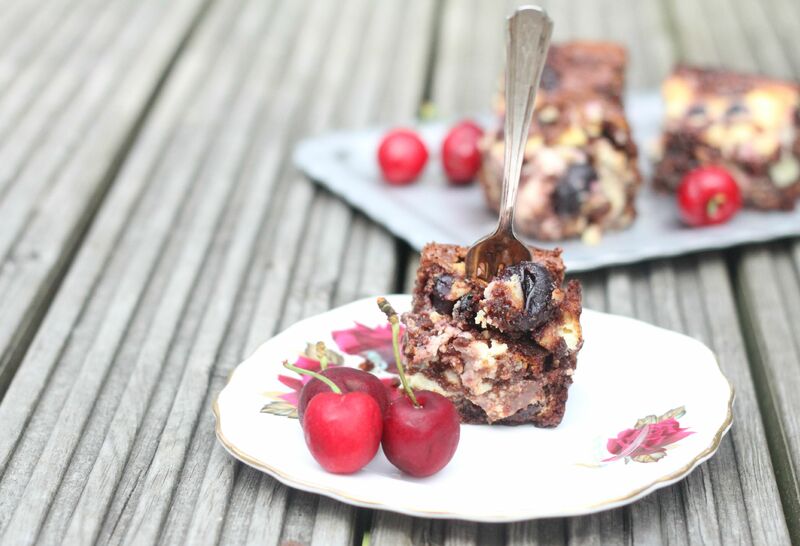 I love cherries, and black forest brownies have been on my never ending to do list for ages! 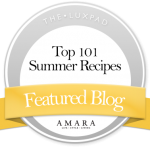 Ooh I love the sound of these – I love brownies. 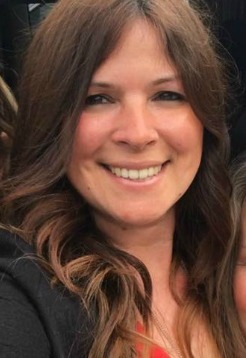 I’m so excited to be joining in with the challenge for the first time this year. I’ve also made brownies, but with a healthy twist. Oh yum yum yum. Brownies with cream cheese are the best, better than brownies on their own I think. 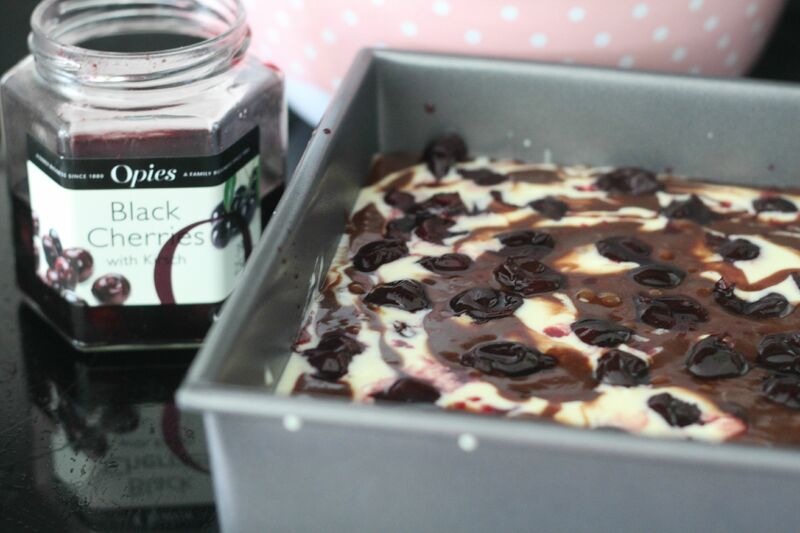 Your black forest creation looks divine! 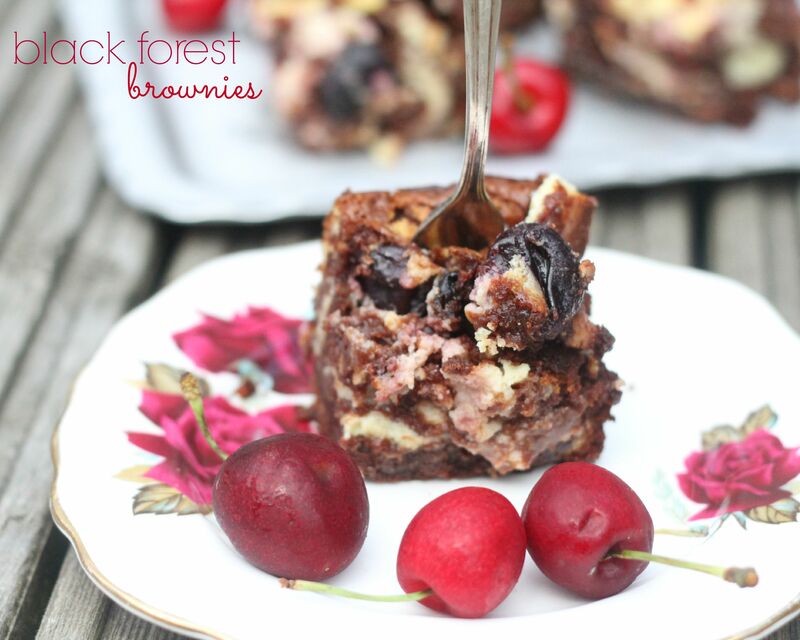 I love the idea of black forest brownies. They look incredible and I wish I could try one! 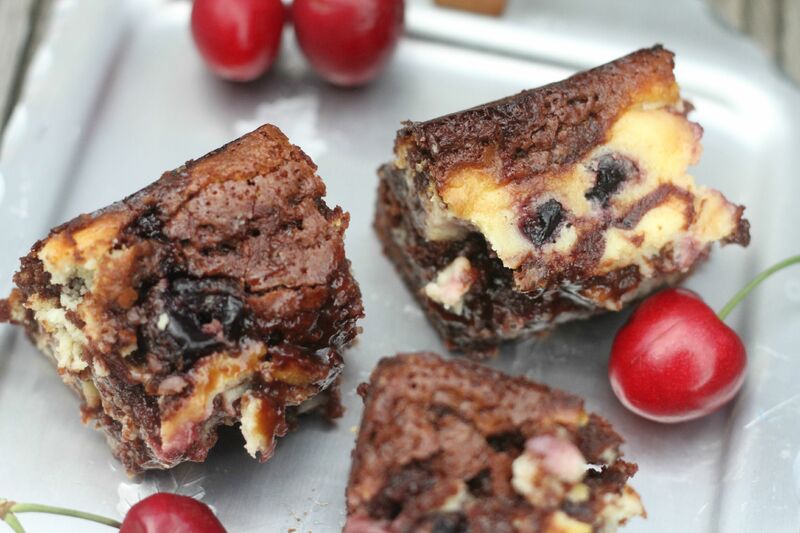 I love brownies and cherries so this is a perfect combination!